Here is some serious cuteness! 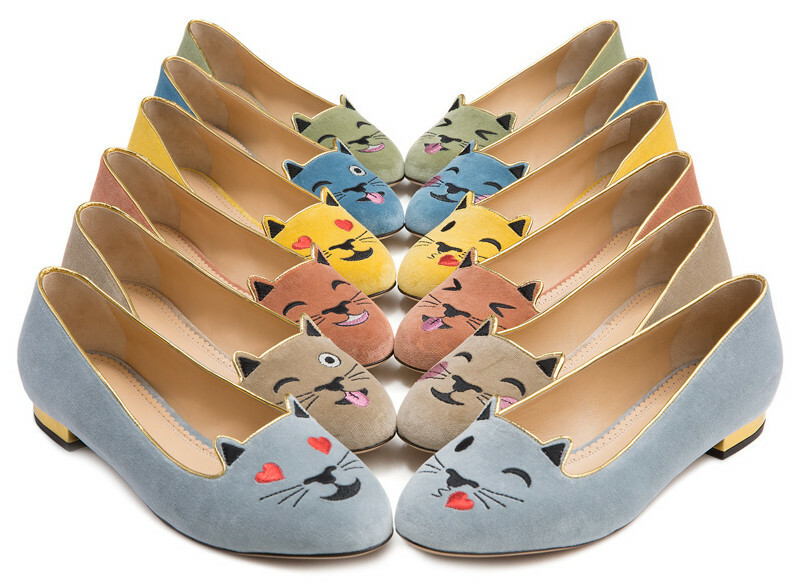 Charlotte Olympia has combined 2 powerful ingredients onto a shoe: cats and emojis. 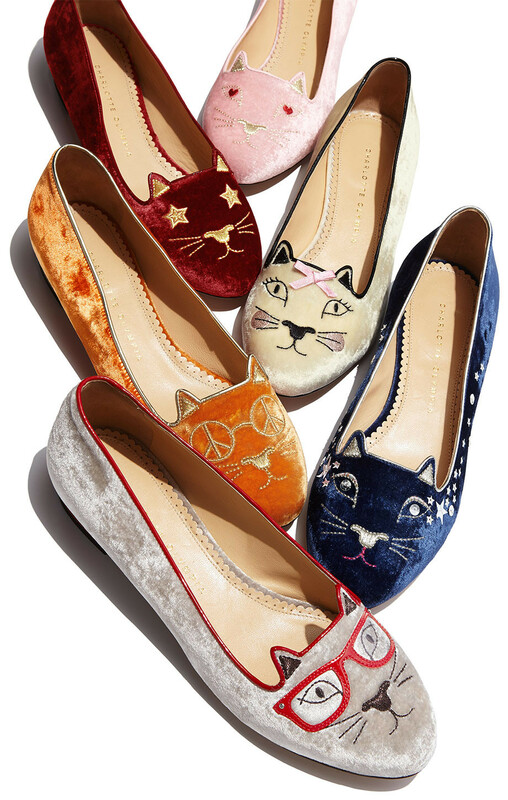 Charlotte Olympia's most recent capsule collection features cats and popular emojis. Say hello to LOL kitty, cheeky kitty, and flirty kitty. Some clothing just makes you grin every time you catch a glimpse of them. 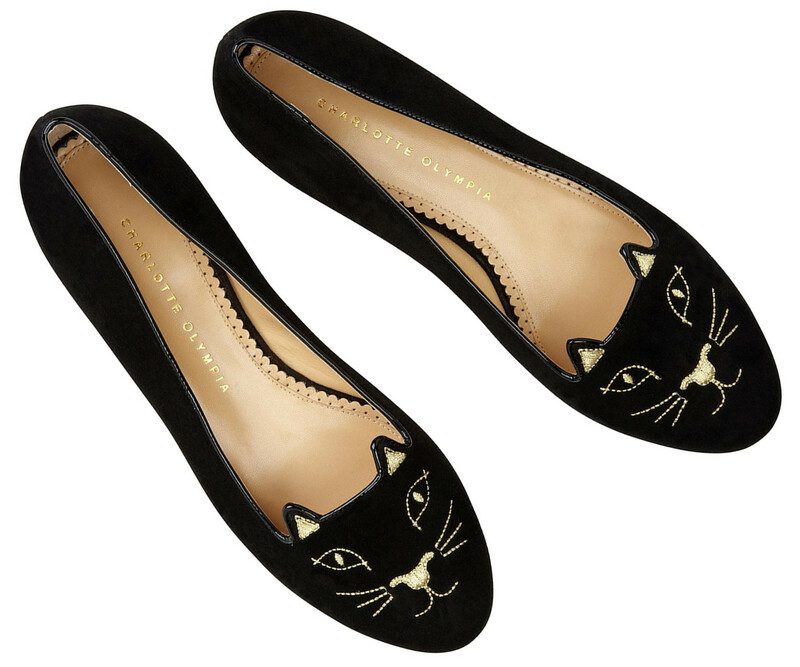 And, that's exactly what Charlotte Olympia's kitty slippers do. They're the perfect balance of cheekiness and gorgeous quality workmanship. Equal parts polished and beautiful with sass and fun. Great fashion should always be delightful to wear. 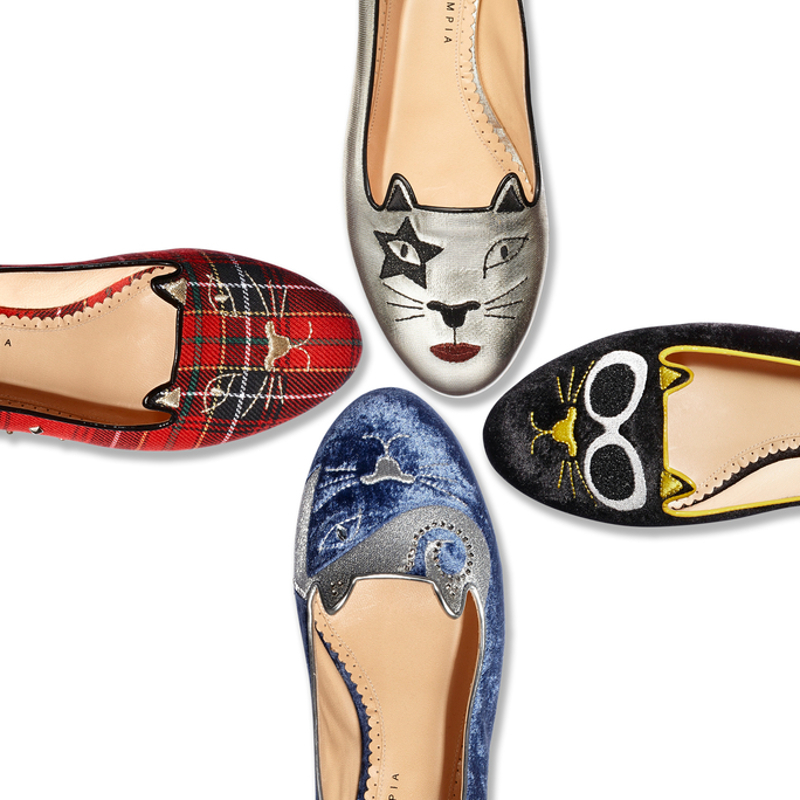 This isn't the first time that Charlotte Olympia's kitty slippers have gotten different cat faces. Oh no! Check out the above. From cute nerd glasses, to hippie cat, to barbie collaboration, to a mechanical version, there's been many cute variations. At the end of the day, the original kitty slipper is our favorite. Seriously, a cat face combined with an impeccably-made slipper; that's already so amusing!